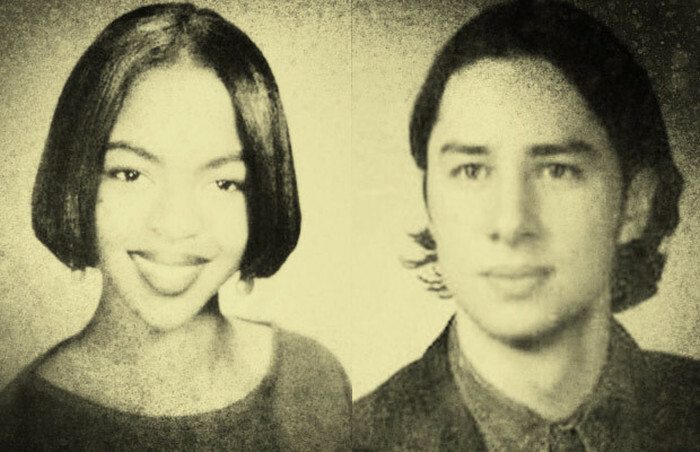 Lauren Hill & Zach Braff both knew each other from High School in New Jersey , and Hill was even a guest at his Bar Mitzvah. Before growing up to search penthouses/outhouses and invent the internet respectively, Tommy Lee Jones and Al Gore were roommates at Harvard University. 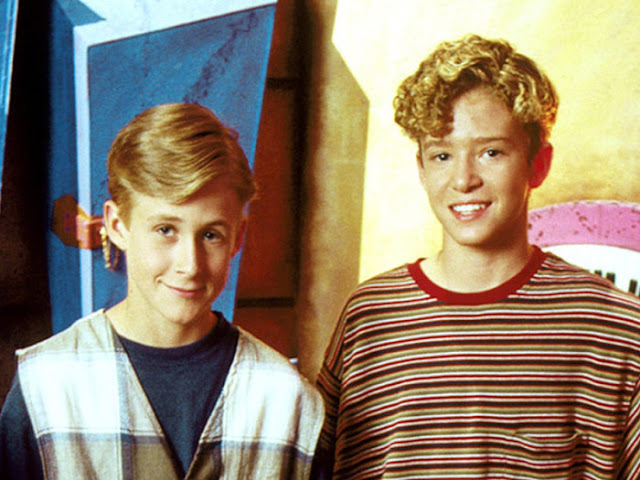 Ryan Gosling and Justin Timberlake both became friends as kids on the set of the Mickey Mouse Club TV show. Maya Rudolph and Gweneth Paltrow have been friends since grade school, and were reunited when Paltrow hosted SNL in 2001 while Rudolph was a cast member on the show. Before he was MC Hammer, Stanley Burerrell became friends with Oakland Athletics owner Charley Finley. Finley hired him as a bat boy, where he gained the nickname Hammer for his resemblance to Hammerin' Hank Aaron. 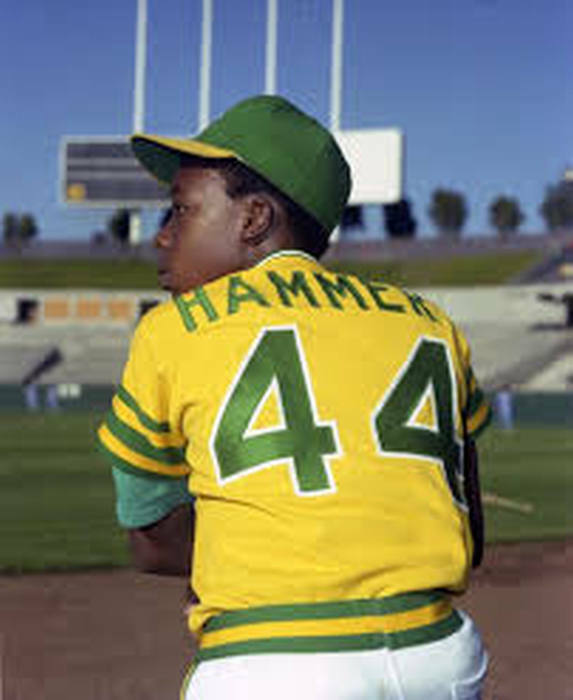 Hammer also started his first record company with a $40,000 loan from A's players Mike Davis and Dwayne Murphy. 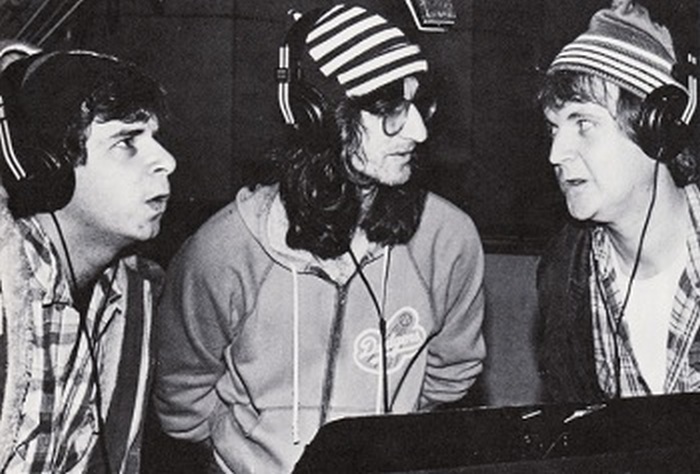 Rick Moranis and Geddy Lee have been friends since grade school. When Moranis' SCTV character Bob Mackenzie became popular, he was offered the opportunity to record a single called "Take Off" he sought the help of his classmate, and Geddy Lee would go on to huge success with the band Rush, but "Take Off" remains his highest charting single. Rick James and Neil Young used to be in a band together called the Mynah Birds. 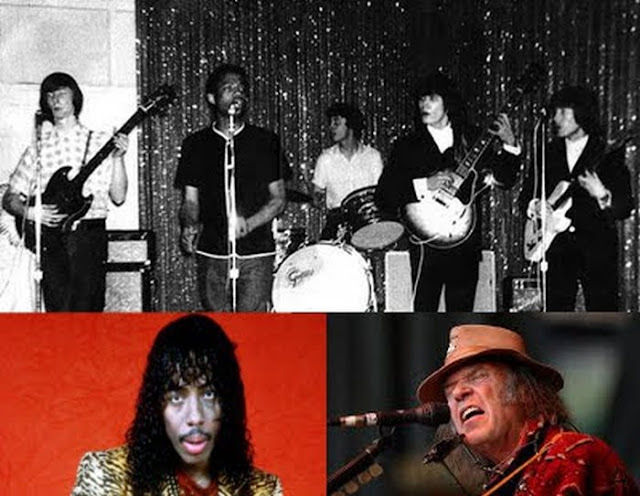 If you want to recreate this band in your own home, try playing "Super Freak" and "After the Goldrush" at the same time on dueling stereos. 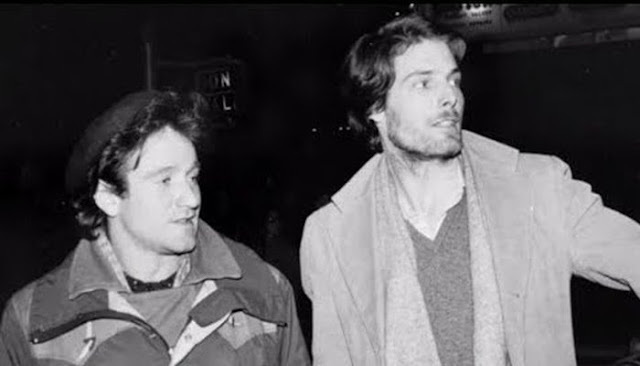 Christopher Reeve and Robin Williams met and became friends when they were roommates at the Julliard Performing Arts School in New York in 1973. It is said that Robin Williams snuck into Reeves hospital room dressed as a doctor to try to make his friend laugh after a horseback riding accident left him paralyzed. This Bowling Posse is pretty instantly recognizable even as kids. 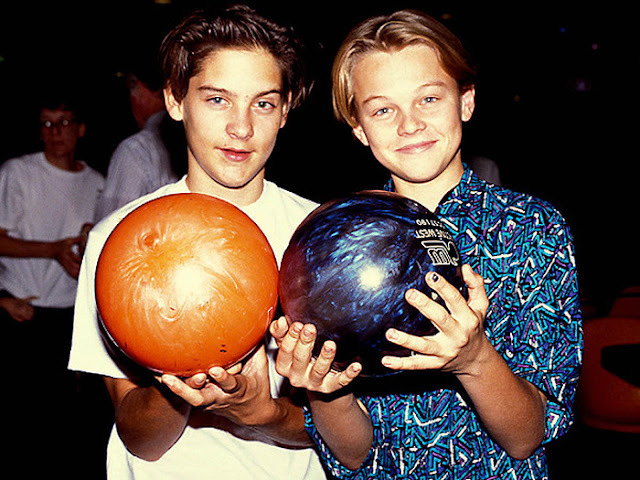 But if you didn't recognize them on your own, Toby Maguire and Leonardo DiCaprio met at an audition as kids and have been friends for over 25 years. Cameron Diaz and Snoop Dogg both went to the Long Beach Polytechnic High School where surprisingly enough, Diaz was a popular cheerleader, and Snoop was a bit of a stoner. 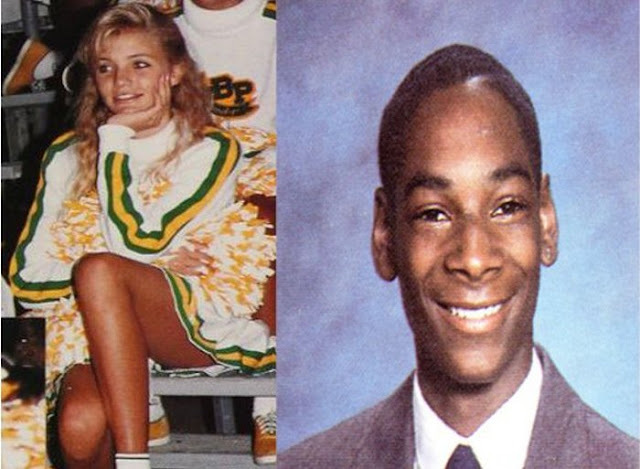 Clearly they have both changed quite a bit since then, but according to Snoop back in the day he hooked Cameron up with some "white girl weed"